In stock -This product will ship today if ordered within the next 4 hours and 18 minutes. A Vogel Crataegus (Hawthorn) Extract is a tincture made from Hawthorn berries. Hawthorn berries are a deep red edible fruit which have been used for centuries to promote a healthy circulatory system. 15 - 20 drops 3 times a day, in a little water. 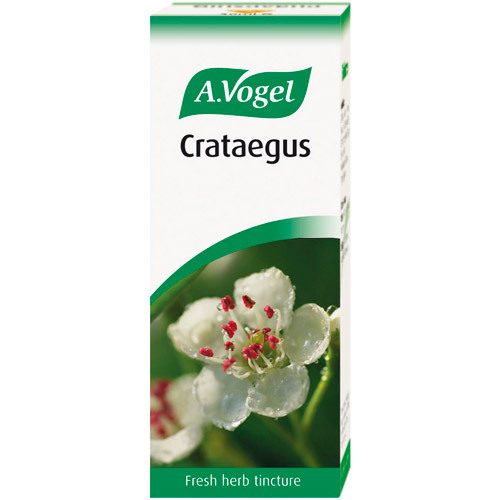 Below are reviews of A Vogel Crataegus (Hawthorn) Extract - Tincture - 50ml by bodykind customers. If you have tried this product we'd love to hear what you think so please leave a review. My wife benefits from using Hawthorn to help with circulation. Bodykind are good to deal with.